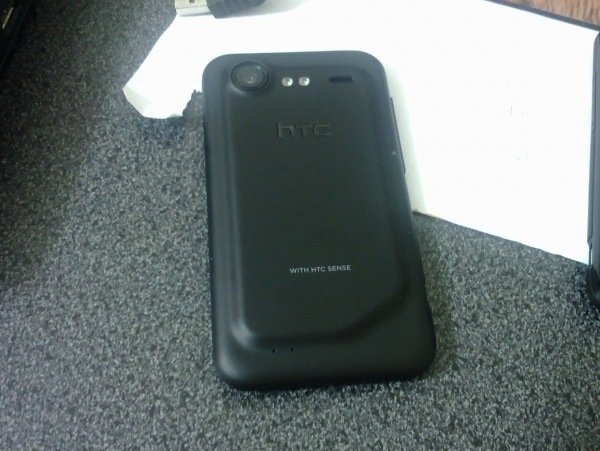 An unannounced HTC handset with Verizon branding has been spotted in the wild. Based on its back cover and touch only appearance, we’re led to believe that we’re looking at a possible successor to last summer’s Droid Incredible. Looking at the picture we can only make out that the camera features a dual-LED flash and that it will be running HTC Sense. Putting two and two together we surmise that this device will bear at least an 8-megapixel camera, a processor of 1GHz or higher, and 512MB RAM or more. 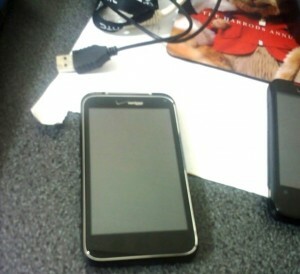 The screen of this phone looks to be in the vicinity of 4-inches, slightly larger than the first model’s 3.7-inch display. Droid Life has previously reported that a Droid Incredible Global is in the works, so it’s likely this is the same device. Hopefully, we get more than simply a bigger screen and different radio inside. HTC’s recent phones have included the newer, more cloud-based Sense UI so we’re putting money on that happening here as well.